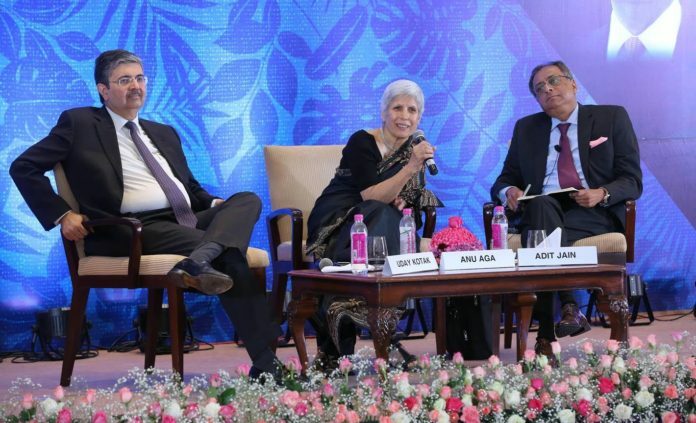 New Delhi: The 3nd KS Narayanan Oration – 2018, was held in Chennai with the theme “Doing business in India Today – Does it call for Compromises?” The main speakers at panel discussion were Mr. Uday Kotak, Executive Vice Chairman and MD, Kotak Mahindra Bank and Ms. Anu Aga, Director, Thermax Ltd. This was moderated by Mr. Adit Jain, Executive Chairman, IMA India Pvt Ltd. The oration’s main objective is to bring together people from diverse backgrounds to spend an evening of learning and bonhomie representing the core spirit of KSN’s personality. During the inaugural edition, the oration was dedicated to the sport of Cricket, as it was a part of the celebration of the SANMAR family’s association with Jolly Rovers Cricket club for over 50 years. The Captain of the English Cricket Team David Gower spoke on the topic of “Lessons from the Cricket Field” after which a discussion on “Whither Cricket?” with Former Indian Test Cricketer Aakash Chopra was held. Mr. N. Sankar, Chairman, and Mr. Vijay Sankar, Deputy Chairman, The SANMAR Group were present.